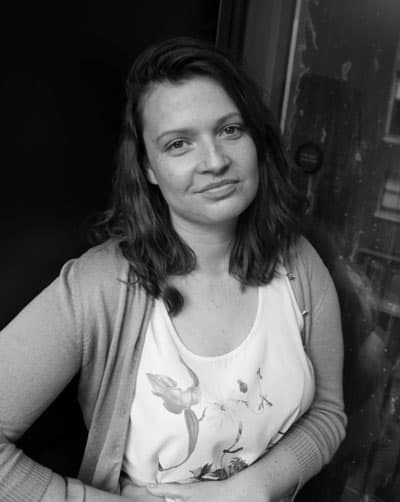 Annika Erikson is the Founder and CEO of Articheck, a platform allowing users to create a digital passport for artworks. Erikson is a former conservator who worked at Long Beach Museum of Art, St Paul’s Cathedral and Tate. Frustrated by the old fashioned way of making condition reports she created Articheck: now used by museums, galleries, collectors and fine art shippers around the world. 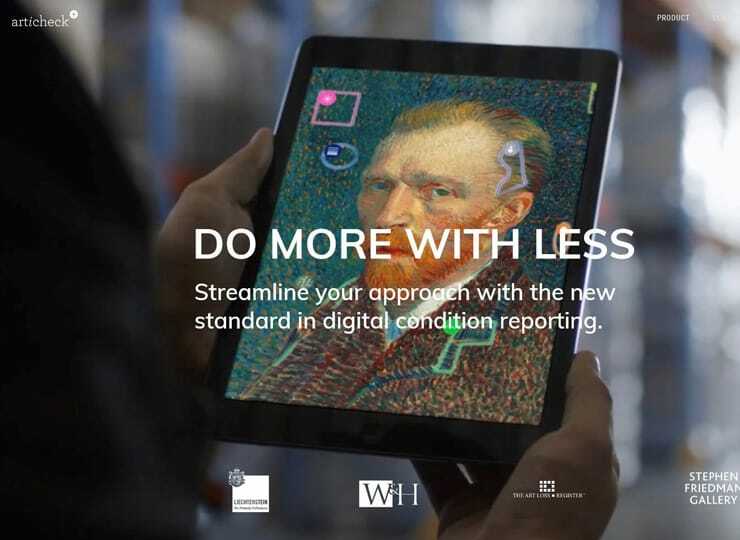 Articheck looks to create a new industry standard for digital condition reports which have a legally verifiable audit trail to track the condition of artwork as it moves for exhibitions, loans, transactions, art fairs, and between storage facilities. Hello Annika, thank you for talking to us today. My mother is an artist: I grew up in the Los Angeles video/ installation art scene. I remember her filming dancers having tea underwater in our swimming pool, and another day renting monkeys for a shoot! It was a fun if unusual childhood! My father is an architect who designed artist lofts, we lived in one in Venice Beach in the early 1990s. When I went on my grand tour at 18 and saw restoration projects at ​the Sistine Chapel​ and ​the Last Supper​, I wanted to have that intimate relationship with masterpieces. I remember repairing 1970s playboys in Mike Nelson’s ​Coral Reef at Tate Britain and thinking – this isn’t quite what I had in mind! But it was really an honour to work with that collection, and in fact I loved working with challenging contemporary artworks. 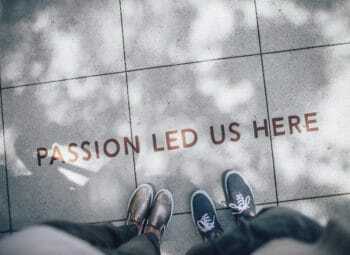 Can you tell us about your motivations behind starting Articheck? I really felt frustrated about all the paper pushing at Tate. I was answering emails and filling out paperwork far more than really working with the collection. Condition reporting was an obvious process that could use streamlining – when the iPad came out we all thought this was the future. I wanted firstly to give conservators more bench time. Then I realised actually most condition reports are made by non-conservators, and they could use a guide to help them make better, more consistent reports, and encourage collectors to do occasional audits. 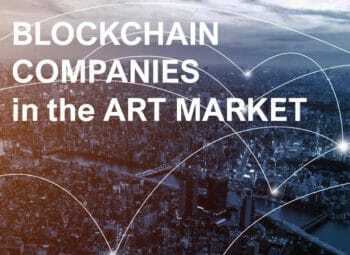 There is also the unregulated nature of the art industry, and there has been a demand in recent years to self-regulate in order to attract investors and finance companies, who are used to having proper due diligence in heavily regulated industries. Articheck helps with this. What blockchain does it use, and how does it work? We looked seriously at blockchain, and decided it wasn’t for us, at least not yet. However, we have decided to partner with Codex in order to ‘dip our toe’ in the Blockchain waters. 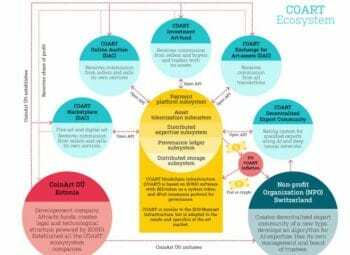 They will connect to our API integration, which will allow the owners of Articheck records to push their content onto Codex’s blockchain protocol if they choose. I’m also curious to learn more about what Artory are doing. Articheck is like a passport for art, that gets stamped each time it travels, or changes ownership. Via our web app and iOS app, the owner can access the passport securely from any computer, smartphone or tablet, and invite service providers and experts to add further details. 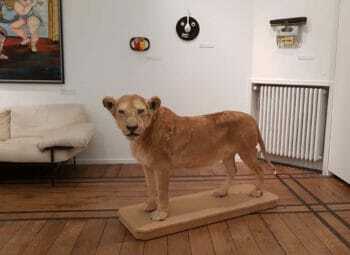 For example, if you purchase an artwork you can request an Articheck report be done by the gallery, with images and a description of the materials, techniques and condition, and updated by the shipper, you can then confirm on arrival that the artwork arrived safely and in good condition. You build an audit trail for insurance and also if you loan the work for an exhibition, which can help increase its value, it’s useful to have a legal record of this, which Articheck provides. It’s a little bit like Car Fax, which tracks MOT service on a car so when someone buys a used car they know with confidence when it’s been serviced. Previous versions can’t be edited and are date stamped, to reduce fraud. There is more fraud than ever, more movement of artwork for loans and art fairs than ever (when art is at the highest risk of damage), more unusual materials and techniques that need documentation to avoid sticky wickets than ever, and more money at stake than ever, so it’s really time for something like this. What are the challenges you have come across whilst setting up your own tech start up? One of the main challenges I think many tech startups face is getting people to change their habits, which is why so much money is spent on making things look as easy as possible. It’s hard work making things look easy! Also, the art world is particularly slow to change and move with the times, so being lean and making capital last a long time has been key. 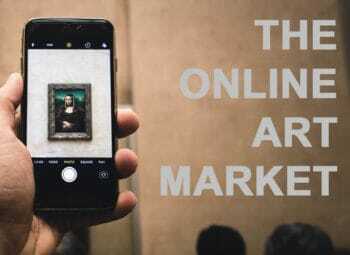 The art market is one of the most reluctant industries in making the move online. Although there has been a slow but steady transition. Why do you think this is? Several reasons! 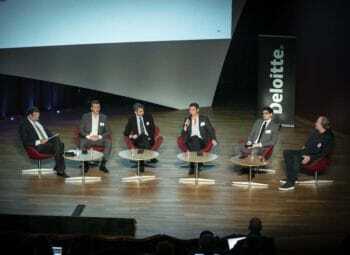 Privacy and security are the most commonly raised concerns, but of course these issues have been faced and overcome in the finance industry, as well as others, which we could learn from. 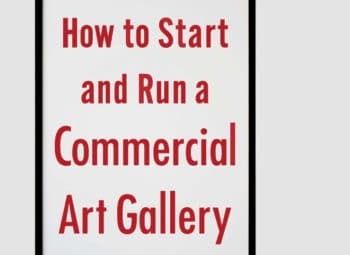 The lack of regulation in the art industry has certainly contributed, as well as industry reports that are a bit misleading in reporting a healthy market, and a resulting idea of ‘if it ain’t broke, why fix it?’. 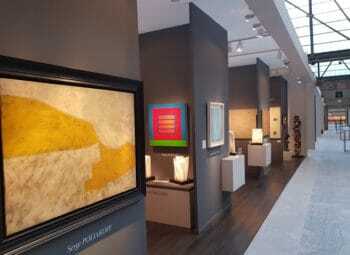 In fact, I’ve heard from several sources, for example TEFAF Chairman Nanne Dekking at the Block Chain event at Christie’s last year, commented that the Art Market is only healthy at the very high end. He felt strongly that to increase the health of the market in general, more transparency and a move online is needed, which is why he’s founded Artory. If we want to keep and encourage investors and finance companies into this market, then we need to provide proper due diligence such as standard provenance and condition documentation. 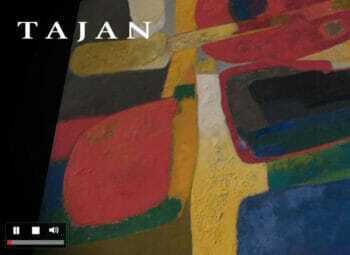 Another contributing factor is a wish by galleries to hold onto their exclusivity and authority. They aren’t quite sure how to do that online! 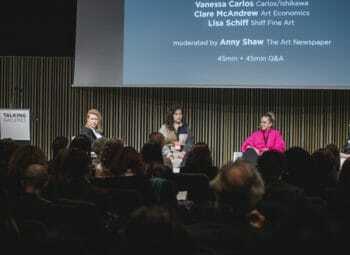 Most disruptive companies replace the middleman, such as Uber directly connecting drivers through an app to people looking for a ride, however as Anders Petterson of Sotheby’s Institute and ArtTactic put it during a panel discussion at the Parasol Unit a few years ago: the middleman in the art world adds value. However, the next generation of art world professionals and collectors is here, and in the next 5 years will have a louder voice in how things are done, I’m sure. And they will naturally be going digital. What reaction has the art world had to Articheck? Museums love it but are often slow to change, the big ones need it the most but are glacial! They have a lot of bureaucracy, layers of management and politics to contend with these days. The take up with galleries and fine art shippers has been very good. University and Private Collections have a good take up. The US, Australian and Scandi market seem a bit quicker to embrace change and new tech which isn’t surprising. I love the global nature of our client base and the fact that it’s even possible to market and service a totally global customer base nowadays with a small team – from the Museum of Old and New In Tasmania, to the National Gallery of the Bahamas, the Rennie Collection in Vancouver, all those NYC Chelsea Galleries, to the Zabludowicz Collection in London. This is why technology is wonderful! Do you think there will be a time when investors, collectors and dealers will buy and sell online only and not feel the need to the face-to-face interaction? Investors perhaps, if you are purchasing for a fund it isn’t a passion decision, but I’m confident there will always be a wish to see art in person. In appreciating art you get an emotional response to it, which for me anyway doesn’t happen online. However! I do find out about where to go online! And when buying clothes I filter and search across many shops and brands, find something interesting, and then go try it on. This is so much more efficient than going to a store and hoping they might have something I like. Now that seems crazy to me. Can you tell us about any exciting collaborations? What plans do you have for the future of Articheck? Yes! I have a few interesting things on the horizon – I’m excited to progress our partnership with Vastari this year – they are a matchmaking service for private collectors looking to loan and museums looking for loans, and for touring exhibitions looking for venues. All those loans and tours need condition checks, so it makes good sense. Also, we are really excited to integrate with inventory systems such as Art Logic, Vernon and Museum Plus, we’ll be improving those integrations. 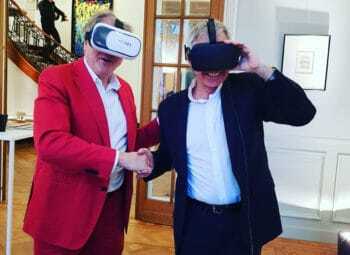 Also, we have an exciting partnership with Authentication in Art, we put together an international working group looking at Due Diligence protocols. I think authentication is a really interesting area of the market, and growing as there has been an increase in fraudulent work and bad press about it. This may be key to getting the market to embrace technology and self-regulate a bit, which I think will help foster a healthier and more future-proof market.